The public cloud may have security built into it, but you still need to build it into your applications. The tools cloud vendors provide help secure connections and manage users, but there’s a lot more that still needs to be done, especially if you need to be compliant with regulations like PCI DSS and HIPAA or are working in several different regulatory jurisdictions. An effective security process will also help reduce liability in the event of data loss or breach. No matter where your data is stored or where it’s processed, it needs to be secure and effectively managed. 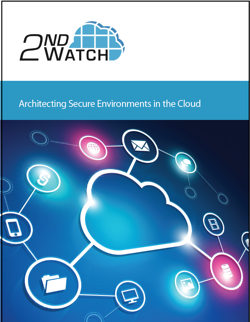 Download the Architecting Secure Environments in the Cloud white paper to learn more about building secure environment in the public cloud.